Lead screw rolling and nut molding is brought to a new level of precision in our micro-sized parts. Manufactured of premium grade 303 stainless steel, Kerk Micro Series Lead Screw Assemblies provide exceptional performance, long life, and require no maintenance. High accuracy threads with superior uniformity deliver precise motion and reduce noise and vibration. Nut configurations of self-lubricating acetal and kerkite High Performance Composite Polymers. This remarkable product line is an enabling technology, opening up a whole new range of designs. The Micro Series allows the miniaturization of products, reduced power consumption, and weight reduction without sacrificing performance or reliability. Developed in response to growing demands in many markets. Haydon Kerk Motion Solutions has offered micro screws on a custom basis for more than 10 years. Now available as a standard product, customers can get quicker, cost effective deliveries. 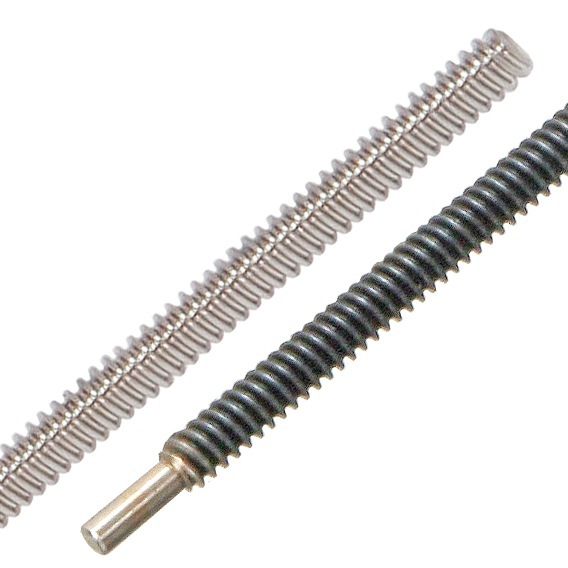 The Micro Series lead screws are available as stand-alone components or integrated into high performance Haydon linear actuators.